How would a super cold region in space effect the flux of a star like KIC 8462852? What would cause a super cold region to exist in the vicinity of Tabby’s Star as well? 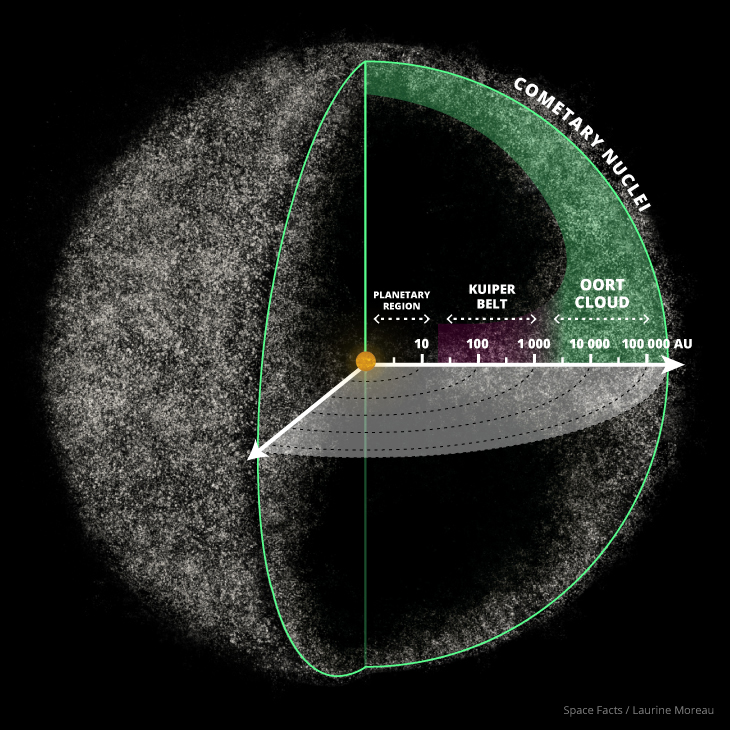 Is there an Oort Cloud, such as the one theorized to be orbiting our solar system that could possibly reflect heat back into the solar system, similar to a mylar blanket reflecting 90% of the body heat of the user back to keep the user warm? Could the dips in the light curve of KIC 8462 be attributed to an Oort Cloud? I have a thought about the brightening. For us to see anything, we have to be close to the ecliptic. Whatever made the huge 22% dip (and other dips) has to go to the far side (from us) of its orbit eventually. Whatever it is, unless it is totally black, is going to reflect some of the star’s light. 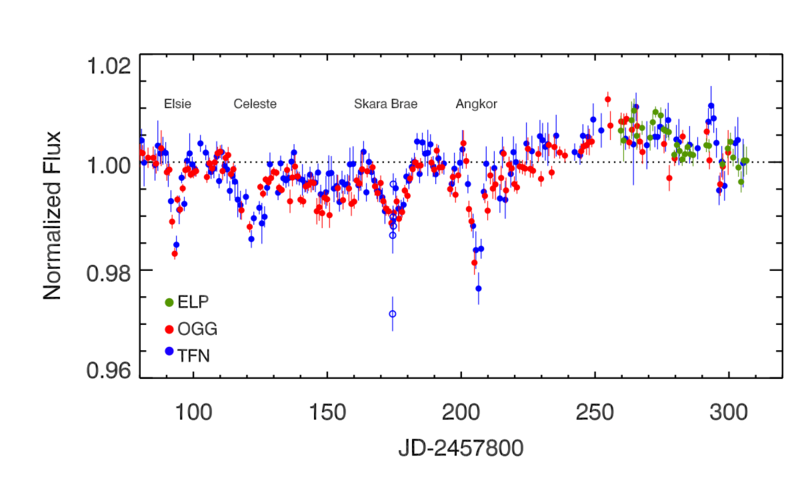 Given the brightening data, this might put some constraints on what is in orbit around this strange acting star.